Learn how to harness the shimmering effects of iridescent glass and create your own 5 x 18″ serving dish. By learning the properties of iridescent glass you can design and cut a piece that reflects your own vision as a glass artist. Students will create one stunning 5 x 18″ platter. 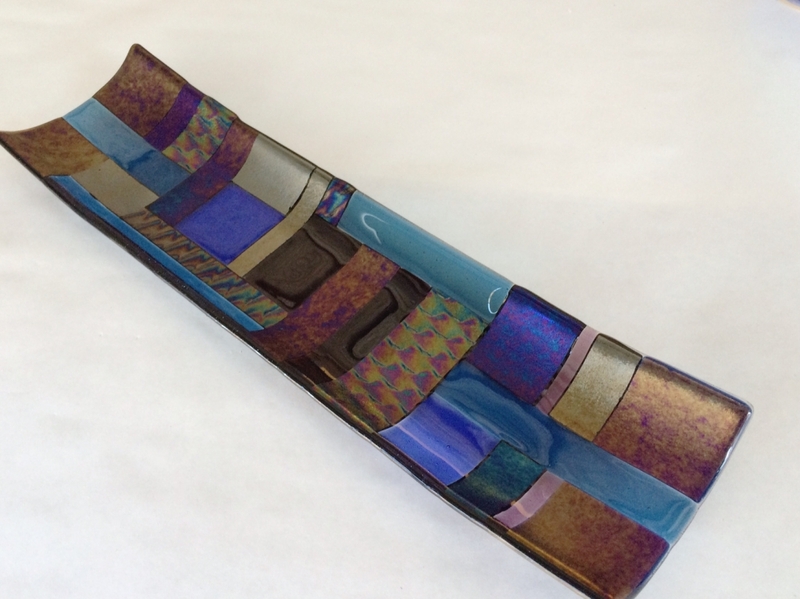 STRONGLY RECOMMENDED – Experience in an introductory fused glass class at VisArts.